Yesterday afternoon, a conference call was conducted and led by Jack Kane, staff Mediator for the National Mediation Board (NMB), myself and Margaret Soda, VP of Human Resources for PSA. On that call, we discussed information about the history and scheduling of bargaining sessions and selected dates for continued meetings under the auspices of the NMB. I am pleased to announce that we have secured meeting dates that include the weeks of September 25 in CLT and the weeks of October 9 and 23 with the locations TBD. 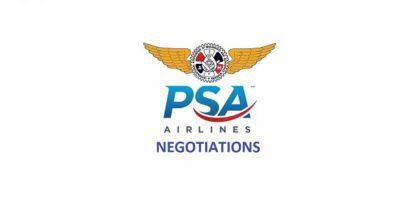 We are hopeful that progress can be made in these sessions that will result in an agreement that reflects the needs of the membership and shows that mainline parent American Airlines has continued in their sharing of the prosperity as they have with almost everyone else at the Company. Keep in mind that Envoy had the unlucky draw of having binding arbitration forced upon them years ago and that determined their last set of raises, and not the health of American overall or industry influences.